WELCOME TO RONA K. CORP. Recognize and remember what matters most: Families & Precious Moments. 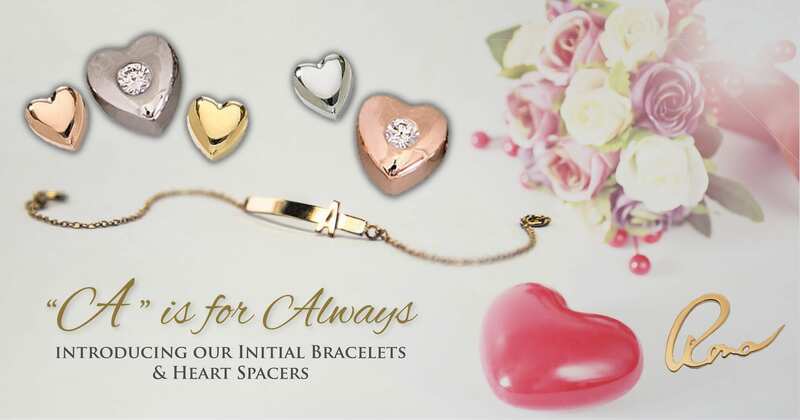 We design & create your expressions of love and hope with unique Personalized Jewelry. The hallmark of our original gold and silver designs are our signature KIDS™ & PETS™ series. Whatever you may have envisioned, Rona K Corp will elegantly preserve those precious moments with custom jewelry designs. Rona K. is committed to offering you a professional experience in purchasing a diamond & creating a ring that will be as unique and special as the love of your life. From our online store you can browse and choose from our original designs, or a simple call to Rona or one the trusted associates of Rona K Corp will be the first step toward a perfectly designed and created family heirloom. Join your KIDS and PETS without attaching them. Transform any charm, using any chain, into an Heirloom Necklace! More than a mere memento, The KIDS™ collection celebrates your pride and joy. Sometimes we all wish we could “freeze time” during one of life’s precious moments. 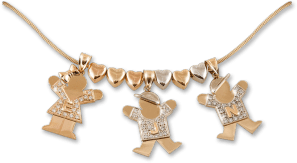 With our handcrafted KIDS gold charms you can – because at Rona K Corp, your KIDS and PETS are worth their weight in gold! Thank you so much for being so wonderful and easy to work with!! You have been so helpful and I'm so excited to see the finished product! I am praying it fits perfectly and is comfy! Thank you for creating a custom ring for me! Many years ago I bought a set of twin boys with diamonds for my grandchildren. Eight years later we were surprised by another grandson. When he became old enough and realized he was not represented on the necklace he asked me why. I decided to get in touch with the company. Imagine my surprise when I talked to Rona personally. I love my three boy necklace. You won’t be disappointed. We just received The KIDS charms this morning. Thank you so much for all of your help. Sally is thrilled and wearing the necklace and couldn't be happier. The engravings are correct and laid out perfectly. It was a wonderful 30th Birthday present! Thank you for all your help! I am very happy with my KIDS. I get compliments on them all the time. I wear the all the time and I love them like my own kids. You were great at explaining to me what I was going to receive, and then I sent you my old charm and you refurbished it to be brand new and sent me the heirloom charm with my daughter on it. Now I have all three of my beautiful children represented with me, all the time hang on my neck. Thank you for everything you did! I love my KIDS necklace! Thank you very much for all your help with designing and creating the most perfect diamond engagement ring. Emanuella loved the ring, the rain held up for the proposal at the garden, everyone looked great, all turned out perfect. Again thank you for all your help. I proposed yesterday. I took her to Puerto Rico for the weekend (it was the first place we went away to together). Took a walk along the beach in the morning and handed her the ring. She was thrilled and said “YES”. It's time for my 2 great loves to get to know each other. Have fun designing and finding that perfect diamond! It is very heartwarming to wear my Rona K Corp KIDS because the symbolism is so strong and personal; you created this charm just for me to represent the most precious people in my life. The quality of this charm is very distinctive: the three-dimension feel sets it apart from all my friends’ mother charms! Thanks for all your help creating all the different colors and styles for my KIDS pin! I purchased an engagement ring through Rona. Rona was excellent to work with as she gave me her honest opinion of what would work best for me. This was a very big purchase and Rona made the experience less stressful then I thought it would be. Thanks again Rona. 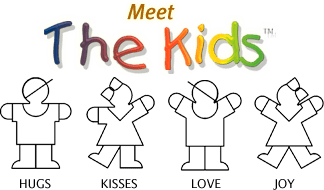 Rona K Corp. makes the most beautiful jewelry to display what is closest to your heart, " Kids". Not only my children, my grandchildren are displayed on a pin as well. My pin was designed so that I can wear it as a necklace or pin depending on my outfit. Every time I wear my KIDS it fills my heart with happiness, not to mention, all the compliments I receive. It is a timeless and endearing piece put into jewelry. Thank you Rona! Join the Rona K Corp family and save 10% OFF your next order! Join our mailing list to get your 10% OFF one-time-use coupon now!